Use the webtool below to explore the relationship between 820K elite wheat varieties and wheat relative progenitor species. Users can view these dendrograms in a range of formats (e.g. circular or radial) by clicking on the grey arrow below and selecting the appropriate image. Particular groups of varieties can be highlighted in blue by clicking on the appropriate node. Please note the results presented in the various dendrograms are based upon the DNA samples provided by members of the wheat community, the true identity of the samples supplied have not been verified and hence Bristol cannot be held responsible for any errors in the data or any implied relationship between the various lines. This data has been generated using Wheat Improvement Strategic Program (WISP) and Designing Future Wheat (DFW) funds (BBSRC) and hence we are obliged by our funders to make the information publically available. 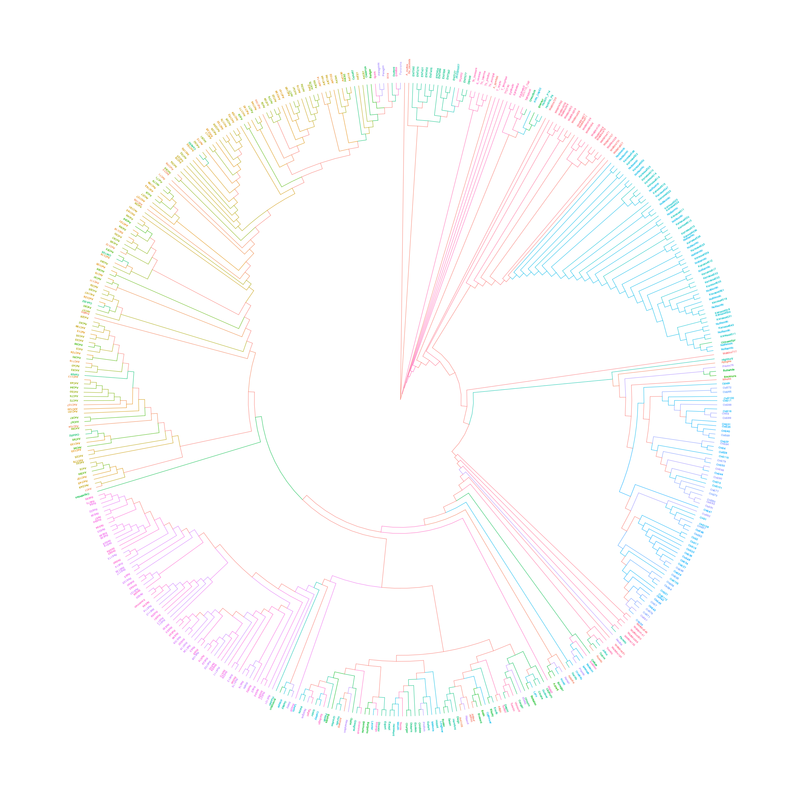 Click the button below to download a high resolution colour image of the circular dendrogram.